Evington, Virginia, native (b.1928) Viola J. Taliaferro didn’t have the time to enter law school until she was 44 years old. Taliaferro graduated from high school at age 14. She then received her B. S. from Virginia State University at age 19. That same year (1947) she began working as a Supervisor of Admissions at Tuskegee Institute in Alabama. In 1949, she moved to Washington, D.C. and began working at the Howard University Medical School. She married in 1950 and spent several years living in Dallas, Los Angeles, and finally Baltimore, where she took a job with the Department of Welfare. She attended Morgan State University where she received her teaching certificate and soon became a teacher, and later an administrator, with the Baltimore Public Schools (1965-1972). While teaching, she received a Master of Liberal Arts degree from Johns Hopkins University (1969). In 1972. she and her husband and their four children moved to Bloomington. In the fall of 1975, she enrolled at the Indiana University School of Law and received her J.D. in 1977. She then went into private practice, focusing family and criminal law. In 1989, Taliaferro was named Monroe Circuit Court Magistrate, In 1995 she was appointed Judge of Monroe Circuit Court VII. Viola Taliaferro retired in 2004. 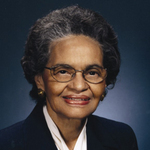 Viola J. Taliaferro was inducted into the Indiana University School of Law's Academy of Law Alumni Fellows in 2000. The University presented her with its Distinguished Alumni Award in 2007 and the Law School named its Family and Children Mediation Clinic after her in 2008. "Viola J. Taliaferro" (1928). Notable Alumni. 56.